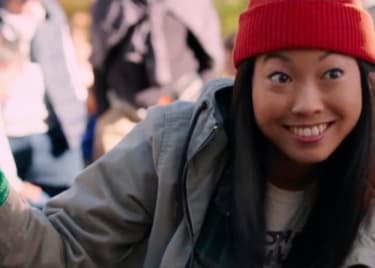 Between the heist film Ocean’s 8 and the more action-oriented the Spy Who Dumped Me, women are having a great time on the big screen this summer. 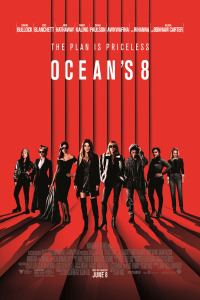 With Ocean’s 8, the spinoff of Steven Soderbergh’s popular Ocean’s franchise, an impressive squad – Sandra Bullock, Cate Blanchett, Anne Hathaway, Mindy Kaling, Sarah Paulson, Awkwafina, Rihanna, Helena Bonham Carter – go all-in on a daring robbery. Mila Kunis and Kate McKinnon star in The Spy Who Dumped Me, opening August 3. 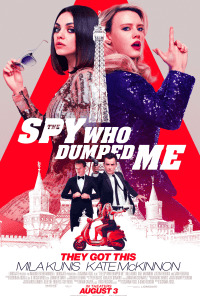 The action-packed comedy follows best friends Audrey (Kunis) and Morgan (McKinnon) as they’re swept into an international conspiracy. When Audrey’s ex-boyfriend reveals himself to be a CIA agent, the girls are targeted by assassins. Rounding out the cast is Gillian Anderson as a big-shot CIA boss. While we’re anticipating these movies, we wanted to look back at some of the best comedies that gave all the lead roles to women. Here are seven that still have us laughing. The comedy was one of the most successful movies of 1992, and is one of the best films of the ’90s overall. After being placed into a witness protection program, Deloris Van Cartier (Goldberg) is sent to a convent where she eventually takes over as the choir director. She uses her musical background to transform the choir into an unorthodox singing group, but the real focus of the film is Goldberg’s personality, which has rarely been given a stronger showcase. A sequel and a musical adaptation followed; a remake is reportedly in the works. Clueless is a defining film of the ’90s, a sleeper hit that quickly became a cult classic. The teenage tale was loosely based on the 1815 Jane Austen novel Emma, relocated to Beverly Hills with modernized details that made the story of budding socialite Cher and her friendships and romances relatable to generations. Clueless jump-started the big-screen careers of much of the cast, most notably Alicia Silverstone and supporting player Paul Rudd. Like the successor to Clueless a decade later, Mean Girls helped write the book on teen pop culture for the ’00s. It dissects the politics and problems of high school cliques as seen through the eyes of a newcomer (Lindsay Lohan) who falls in with the group of girls who basically run their school’s social scene. Also notable is the fact that Tina Fey not only starred in the film, she also wrote the screenplay. Bridesmaids was a turning point for studio comedies, and for the careers of many cast members, especially Melissa McCarthy. 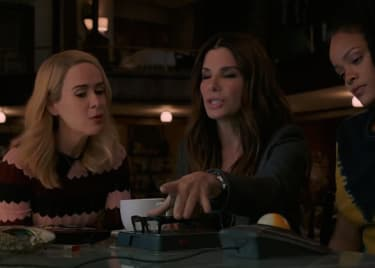 Paul Feig’s film throws an all-star cast of outrageously funny women into a story in which they can shine both individually and as an ensemble. Annie (Wiig) is down on her luck, and stuck acting as maid of honor for her best friend (Rudolph) – a job she’s wholly unsuited for. Wiig co-wrote the film and scored an Oscar nomination for the screenplay while McCarthy was nominated for Best Supporting Actress for her standout role. Pitch Perfect intertwines comedy and music as an all-girl a capella group, the Barden Bellas, seeks to win a collegiate championship. A large ensemble cast is the foundation for the story, but nearly every character gets significant breakout time as the team faces failure while dealing with personal ambitions and setbacks – much of which is expressed in song. Six years since the film hit theaters, Pitch Perfect has become a serious if surprising franchise with two sequels. Fortunately for The Spy Who Dumped Me, a large cast isn’t a pre-requisite for hilarity. Just look at The Heat. Two heavy hitters lead the cast in this story of a pair of wildly mismatched law officers. Sandra Bullock is a efficient and methodical FBI agent partnered with Melissa McCarthy’s loudmouth hothead Boston cop. Their adventure is a ruthlessly funny spin on the buddy cop scenario and their on-screen chemistry on-screen is a must-see. Not only one of the most buzzed-about movies of 2017, Girls Trip also proved to be one of the best movies of the year across all genres. Four friends travel to New Orleans to reconnect and heal the rifts in their long-standing group. Truths come out, drama and hilarity ensue in equal measure, and there’s a bathroom accident on a zipline. Pretty much your classic New Orleans trip. Tiffany Haddish’s breakout performance turned her into a household name. 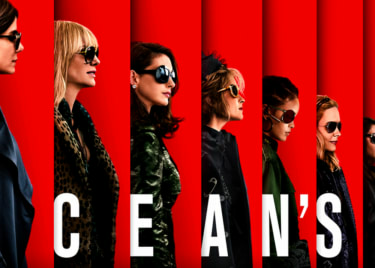 Ocean’s 8 hits theaters June 8th and The Spy Who Dumped Me August 3, 2018.